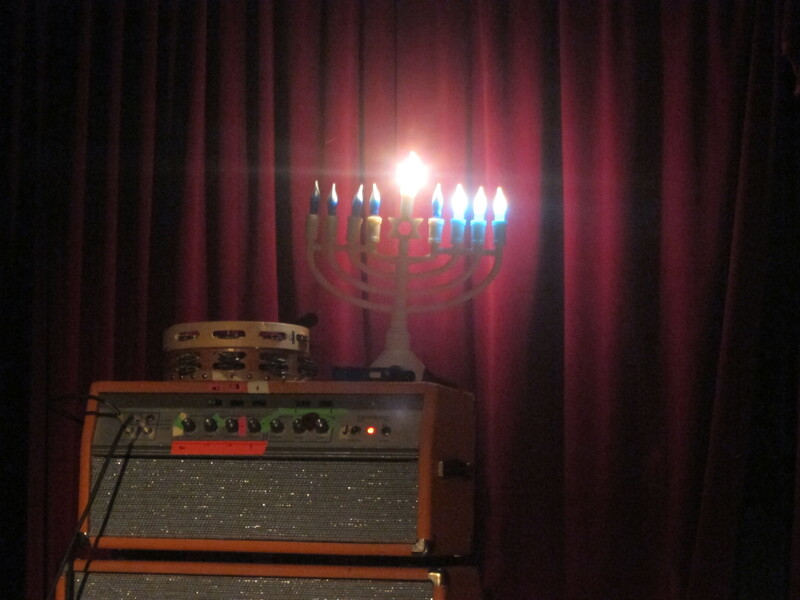 Hanukkah with Yo La Tengo at Maxwell’s in Hoboken — Sunday and Monday | Will You Miss Me When I'm Gone? 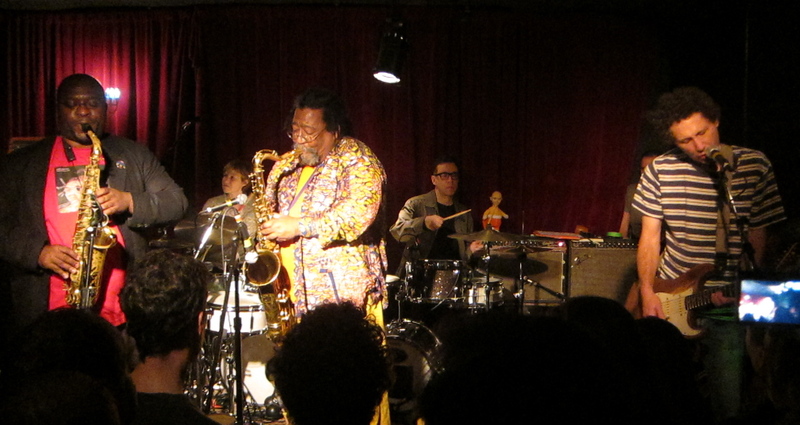 Just five of the dozen members of Sun Ra Arkestra on the Maxwell’s stage. Sun Ra Arkestra: Thinking of Saturn. Sun Ra Arkestra’s bandleader, Marshall Allen, is 88 years old. Yo La Tengo’s Ira Kaplan. Yo La Tengo’s Georgia Hubley. 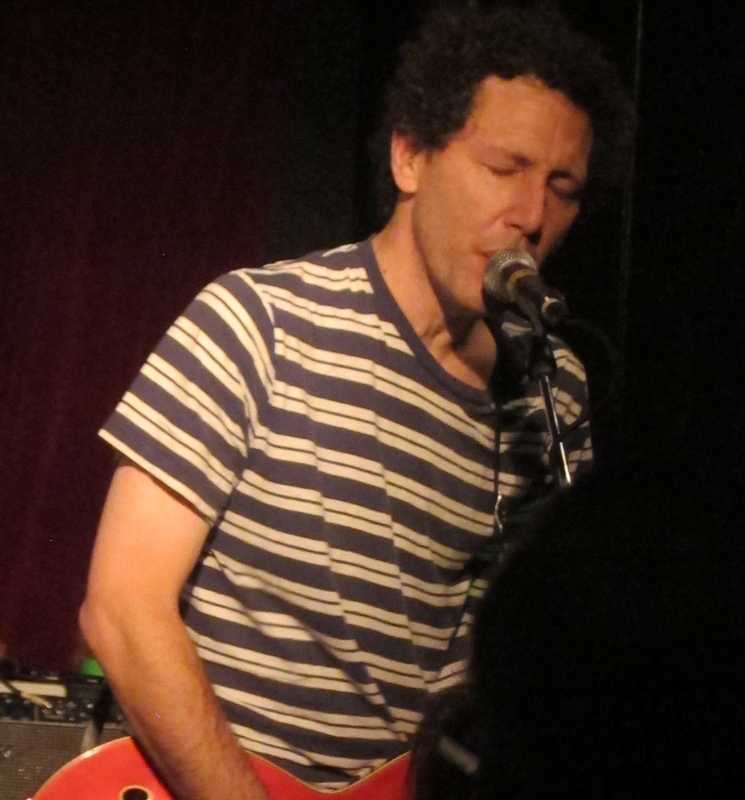 Yo La Tengo’s James McNew. It’s Night 3 of Hanukkah. Glenn Mercer kicks up his heels. Feelies Bill Million and Brenda Sauter. Dave Weckerman in the Feelies’ set. James McNew and Glenn Mercer. Dave Weckerman keeps the clave beat for Ira Kaplan. Stan Demeski shows Yo La Tengo how it’s done. (Photo by CMM). Ira Kaplan freaks out on organ. Georgia Hubley freaks out on James McNew’s bass. Glenn Mercer and Bill Million join James McNew with Yo La Tengo. This entry was posted in Concerts, Jazz, Music, News, Pop and Rock, Review and tagged "Portlandia", Bill Million, Brenda Sauter, claves, Dave Weckerman, drums, Fred Armisen, Georgia Hubley, Glenn Mercer, Hanukkah, Hoboken, hurricane, Ira Kaplan, James McNew, John Mulaney, Marshall Allen, Maxwell's, menorah, Sandy, Saturday Night Live, Stanley Demeski, Sun Ra Arkestra, Superstorm Sandy, The Feelies, Yo La Tengo. Bookmark the permalink.